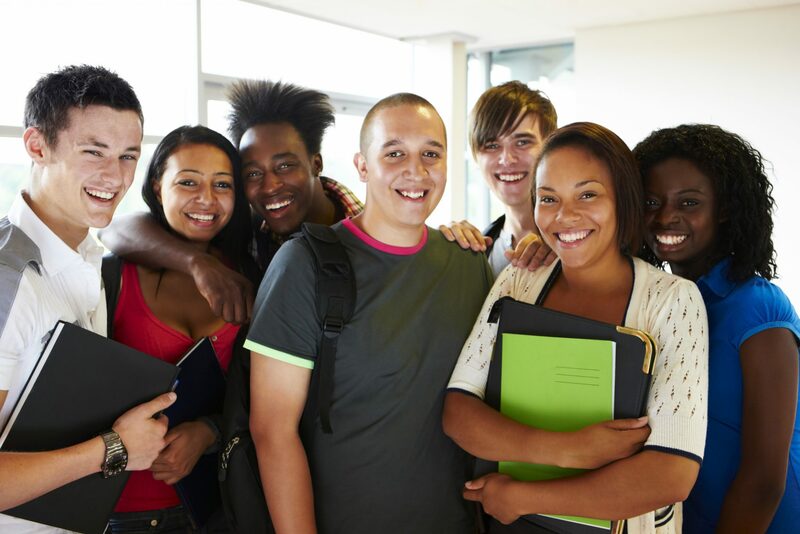 NCLD recognizes outstanding high school students with learning and attention issues, general education teachers and schools or school-related programs who support students with learning and attention issues. The Anne Ford and Allegra Ford Thomas Scholarships offer financial assistance to two graduating high school seniors with documented learning disabilities and/or ADHD who are pursuing post-secondary education. The Anne Ford Scholarship was first awarded in 2002. In 2009, with a generous donation from Anne’s daughter, Allegra, a second scholarship was created and named the Allegra Ford Thomas Scholarship. To learn more about eligibility requirements, visit our Eligibility Information page. Applications for the high school class of 2019 have closed. We will update this page when applications are being accepted for the next class of scholars. By applying for an NCLD scholarship, you will be added as a member of NCLD’s Scholarship Alumni Program. We hope that we can count on you to share your voice and help build awareness, inform program activities, take action, and be a spokesperson for the 1 in 5 with learning and attention issues. The Allegra Ford Thomas Scholarship is a one-time $2,500 scholarship awarded to a graduating high school senior with a documented learning disability (LD) and/or ADHD who will be enrolled in a two-year community college, a vocational or technical training program, or a specialized program for students with LD and/or ADHD in the fall. Be a graduating high school senior who will be attending a two-year community college, a vocational/technical training program, or specialized program for students with LD and/or ADHD in the fall. Provide most current documentation of an identified learning disability and/or ADHD (e.g., psycho-educational report, neuropsychological evaluation, IEP or 504 plan) and has utilized services, supports and/or accommodations. Please note: LD and ADHD can co-occur with other issues such as speech/language, hearing and vision, and autism spectrum disorders; to be eligible candidates must provide documentation of a specific LD and/or ADHD. For more information about this scholarship, please visit FAQ. The Anne Ford Scholarship is a $10,000 scholarship ($2,500/year over four years) granted to a graduating high school senior with a documented learning disability (LD) and/or ADHD who will be enrolled in a full-time bachelor’s degree program in the fall. Provide most current documentation of an identified learning disability and/or ADHD (e.g., psycho-educational report, neuropsychological evaluation, IEP or 504 plan) and has utilized services, supports, and/or accommodations. NCLD’s Rozelle Founders Award was created by NCLD’s Board of Directors in 2000. The award, named for NCLD’s founders, Pete and Carrie Rozelle, is presented to outstanding K-12 public and independent schools that provide effective instruction and support to all students and are successful in addressing the educational and social-emotional needs of students with learning and attention issues. The Rozelle Founders Award is intended to highlight the importance of classroom and school-wide teaching approaches and learning activities that incorporate best evidence-based practices. Preference is given to schools that serve underprivileged and underserved communities, and programs that have demonstrated positive impact on students with learning and attention issues. Members of the NCLD Team, in consultation with members of NCLD’s Professional Advisory Board and Board of Directors, review all qualified recommendations and select the winners of this annual award. Winners are notified in writing at least six weeks in advance of the award presentation. The awards are given during the academic school year. Members of the larger school community are invited to participate in the award ceremony and accompanying events. For more information about this award, please visit FAQ. The Bill Ellis Award is presented annually to an educator or other professional who demonstrates excellence in practice and a commitment to all students, including those with learning and attention issues. Established in 1996, the award honors Bill Ellis, a great humanitarian, educator and visionary who served as NCLD’s director of professional services from 1991 until his death in 1995. It was Bill’s vision in the field of learning disabilities that framed much of what NCLD has become. He led the organization by collaborating with other learning disabilities organizations and establishing a growing presence on a national level; he recognized the importance of early intervention for children with learning disabilities; he valued the roles that general educators play in the lives of children with learning disabilities; and he helped create the first of NCLD’s highly respected national summits: The 1994 summit, an event that presented learning disabilities to the highest levels of government. In May 1996, Bill’s last great undertaking was realizing NCLD’s National Summit on Teacher Preparation. Although sadly, Bill was not able to attend the summit, it was his idea and dream to establish a forum where general and special educators could join together to shape the future of teaching. Bill saw beyond the world of learning and attention issues and recognized the need to reach all educators. 2009 – Evelyn Rivera, M.Ed. 1996 – Carolyn Denise Witcher Sessoms, Ed.D.